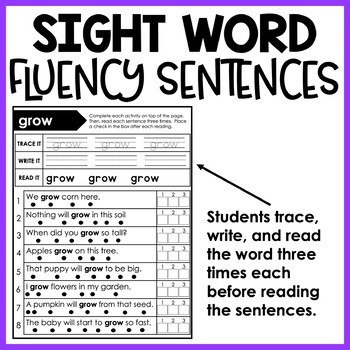 These Dolch Pre-Primer Sight Word Fluency Sentences will help your students practice their reading fluency while learning their sight words. 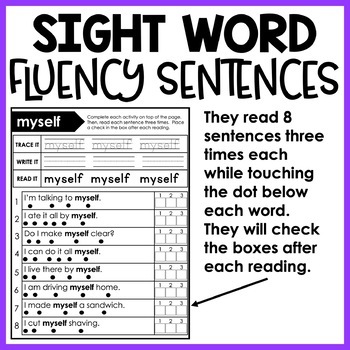 Not only will they have the opportunity to read 8 different sentences 3 times each, but there is some handwriting practice on top of the page to help reinforce spelling the words. 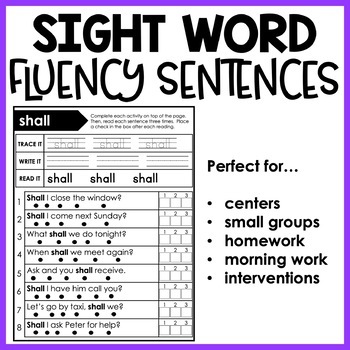 Use them in small groups, send it home for extra fluency practice, or laminate and put in centers to use each page over again! 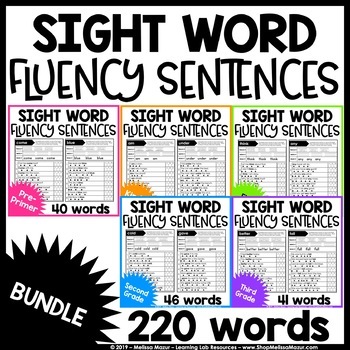 There are so many ways to use these.